Option 1: Fly to Pattaya. Option 2: Take a bus to Pattaya. There are also a variety of indirect routes. 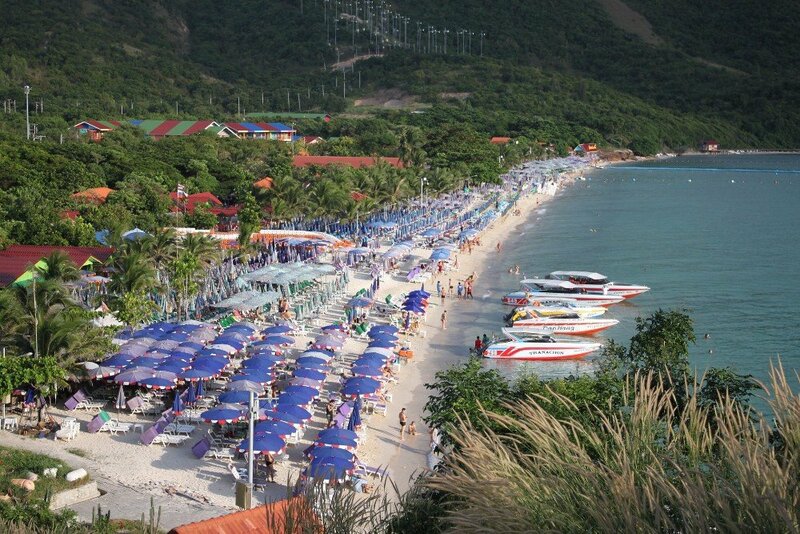 If you are not in a rush to complete your journey then you could take a bus or minivan from Phuket to Surat Thani, then a train from Surat Thani to Hua Hin, and then catch a ferry from Hua Hin to Pattaya. Flights from Phuket to Pattaya land at U-Tapao Airport, which is 40.7 km from Pattaya City. * The price of flights listed above is indicative. For real time pricing of flights check using the Search Box below. Bus services from Phuket to Pattaya cost nearly the same amount as a flight with a low-cost carrier such as Thai AirAsia, however, there is a cost saving compared to travel by air because it is expensive to travel to the airport in Phuket and even more expensive to travel from U-Tapao Airport to Pattaya City. Departure from Bangkok: Bus services to Pattaya depart from Phuket Bus Terminal (2). Bus Company: This service is operated by the Sawasdee Tour Company. Pattaya Bus Station: These bus services terminates at the Pattaya Sawasdee Tour Office on Pattaya 3rd Road. This is a city centre location 3.4 km by road from Central Festival Pattaya Beach shopping mall and 4.7 km from Pattaya’s famous Walking Street. Use the Search Box below to buy bus tickets and flights from Bangkok to Ranong. This is a popular route and it gets busy particularly in December and January and again in April. We recommend booking in advance at busy times of the year. Phuket Bus Terminal (2) is 4.6 km from Phuket Town, 15.9 km from Patong Beach, 23.0 km from Kata Beach and 29.5 km from Phuket Airport. To reach Phuket Bus Terminal (2) by public transport your best option is to take a local bus, minivan or shared songthaew taxi to Phuket Bus Terminal (1) and from there take a pink songthaew (shared taxi) to Phuket Bus Station (2). Phuket Bus Station (1) is located off the Phang Nga Road in the centre of Phuket Town, a 1.3 km walk to the East of Phuket Town Central Market. U-Tapao International Airport is located 40.7 km to the South of Pattaya City and 30.8 km to the East of Rayong Bus Terminal 2. Minivan: The cost is 250 THB per person and the service terminates at Central Festival Pattaya Beach shopping mall. Taxi: Expect to pay 800 to 1,000 THB for a taxi to any point in Pattaya City. Minivan and taxi services are available from the Airport Terminal Building. Look for the signs when you arrive at U-Tapao Airport. Bus services from Phuket terminate at the Sawasdee Office in Pattaya City.